The high sonic output and small size is a result of the sophisticated Quest analogue engine electronics and purpose designed, heavy-duty Quest speaker components. 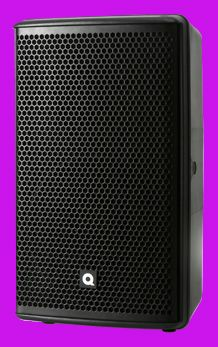 For a small speaker system, the QSA200i is packed with pro features. Multiple XLR inputs with mix output or straight through mean you can use operate the amplifier without need for a mixer on small jobs. Both line and mic level with independent level control are a handy feature. For horizontal installation the HF horn that can be rotated to horizontal dispersion plane and an optional pan-tilt bracket can be added for both temporary or permanent installation.